Courtesy of KELLER WILLIAMS TAMPA PROP.. Simply the best of the best throughout this beautiful, spacious 5/4 plus 2 car garage and screened pool estate home. From the paver driveway, a stunning 2-story entry welcomes you into soaring 12-ft. ceilings, a flowing, open floorplan, and more than 3,700 sq. ft. of luxurious living space. The very well appointed chef 8217;s kitchen features gleaming granite counters, stainless appliances (including a double oven), large pantry, convenient island/breakfast bar w/sink and more. Large first-floor master suite offers a walk-in closet, double door bathroom entry, dual sinks with granite counter, zero depth walk-in shower. Upstairs, you 8217;ll find the second (yes, second!) master suite also with walk-in closet space and dual sinks, along with the additional oversized bedrooms and an office/media room with beautiful dark wood flooring. The open great room leads to the huge, covered lanai and heated, screened pool and spa area plus the plush, fenced backyard (w/storage sheds) perfect for memorable gatherings of family and friends. Built in 2015 by MI Homes, this estate home is located in the desired Long Lake Ranch community with amenities including a large lake perfect for canoeing, a fishing pier, dog park, active community center, basketball, tennis and more. Beautiful living space with luxury upgrades throughout in a great neighborhood, convenient location and more 8211; call today to experience this outstanding property in person. 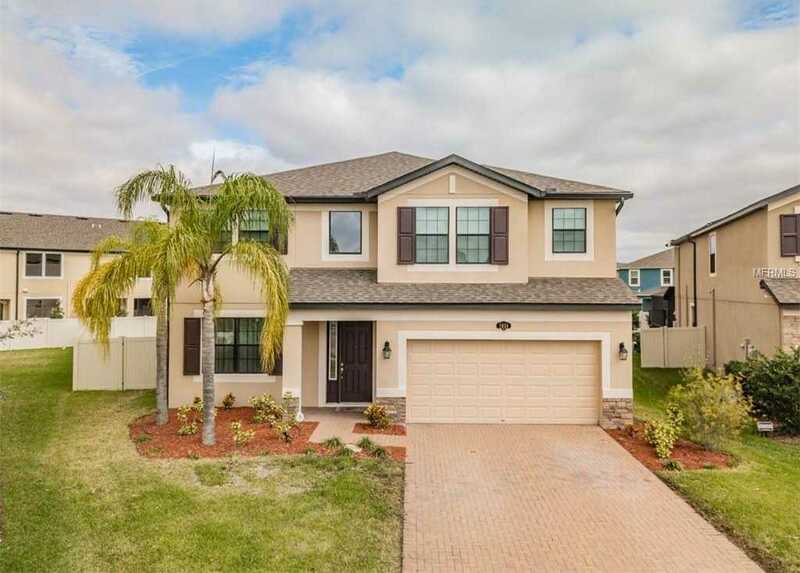 Please, send me more information on this property: MLS# T3155592 – $495,000 – 1834 Oak Hammock Ct, Lutz, FL 33558. I would like to schedule a showing appointment for this property: MLS# T3155592 – $495,000 – 1834 Oak Hammock Ct, Lutz, FL 33558.